Kumar Properties is one of Pune’s oldest local developers and has plenty of popular products on offer. Even so, it has a bit of a reputation for selling average-quality products and it knows that there are people who would simply never consider a Kumar Property for the same reason over, say, a Marvel or Kolte Patil. The company now wants products that will stand out and have strong individual identities - and that means making some bold moves. Lets see how they live up to this challenge! 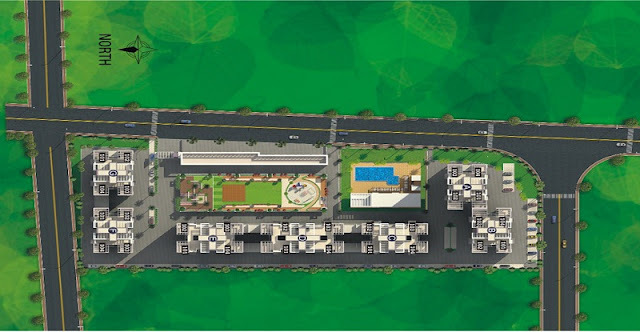 Piccadilly is located in Santosh Nagar/ Tathawade, one of the most popular localities in the suburb of PCMC. 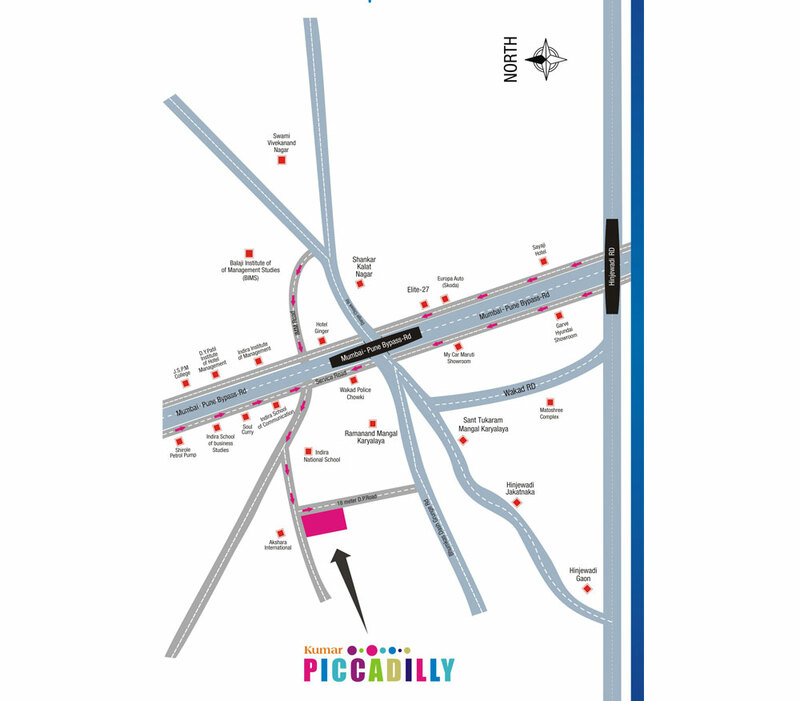 Piccadilly has an advantage that Hinjewadi & Wakad are located in close proximity to Tathawade. Wakad has a number of renowned schools & colleges like Indira School, D Y Patil Engineering College, Podar International School in the vicinity. Apex, Phoenix & Varad are some of the well-known hospitals in the area. There are also a number of shopping options in the area including Magnet Mall, O-Go Mall and Shoppers Stop. The layout plan is a mixed bag. It’s a rectangular plot with buildings placed on the periphery of the plot which is good but 7 towers make the plot a little congested. It would have been an ideal layout if there were lesser buildings. 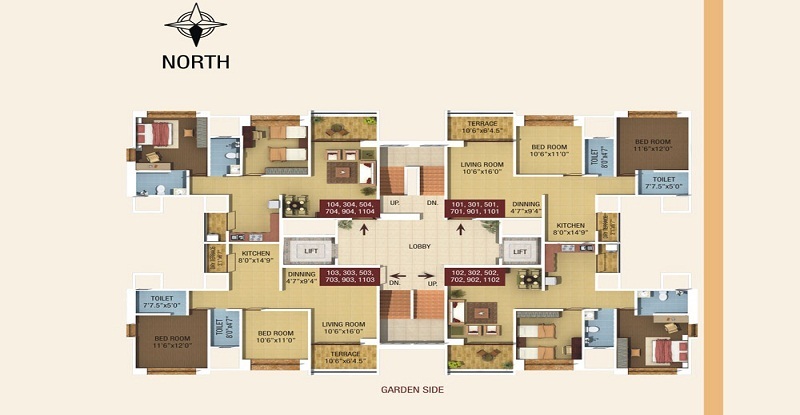 The amenities are the in central block ensuring maximum apartments get a garden view. There are 4 apartments per floor. The apartments on either side are mirror images of each other. Units number 2 & 3 are east & west facing respectively (entrance) and apartments 1 & 4 have a north side entry. The developer has ensured that there are no south side entry apartments. Moving into the apartment you will note that the living room is cramped and is of size 10-6 * 16. Again the master bedroom & attached washroom of size 10*12 & 8*4.7 is a little too small for our comfort. The deck is attached to the kids room and it would have been better if it was attached with the living or master bedroom for better usage. Loading is around 30 % by our calculations. Overall the developer could have done a little better. The apartments are fitted with 600x600mm Vitrified tiles in living, kitchen & bedrooms and matt finished Ceramic tile flooring in toilets. Walls painted with gypsum punning on walls & OBD paint for walls and ceilings There is Intercom facility, access control main entrance lobby with CCTV camera. Investment home for outside Pune-based customers. If you are an investor you might consider this however before taking a final call do look at competitors in the vicinity, you might get better options from Kolte Patil, Paranjpee or Kalpataru.